A survey of the galactic centre region carried out using the Hubble Space Telescope has found another 16 possible extrasolar planets. 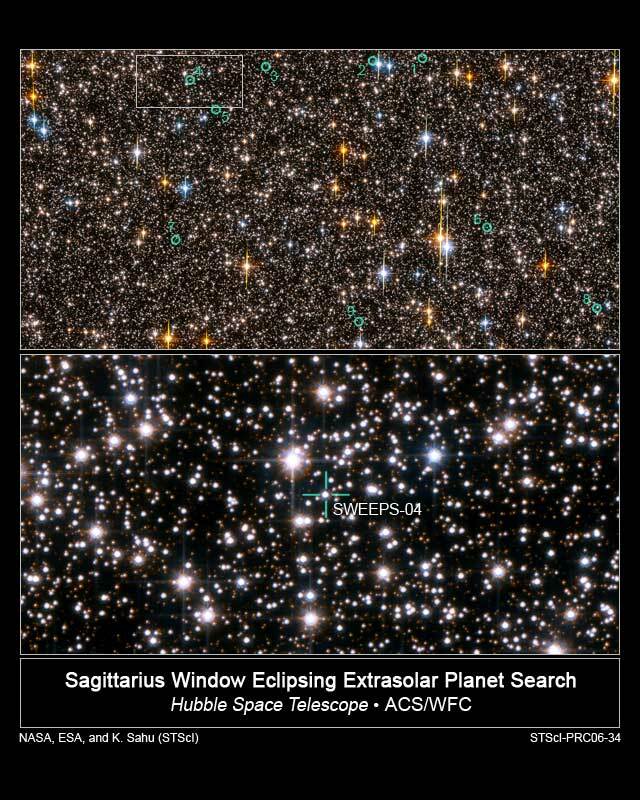 The survey, called SWEEPS (Sagittarius Window Eclipsing Extrasolar Planet Search), used Hubble to look for the tell-tale dimming of stars as a planet passes in front of the star. This is the so-called transit method. In this survey 180,000 stars were studied in a region of the sky in the constellation Sagittarius 26,000 light years away. 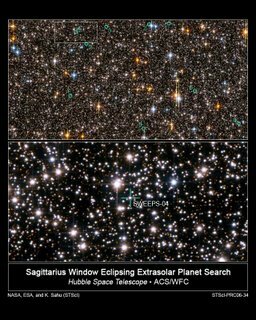 This is looking directly at the central bulge of our Milky Way galaxy. All the planets are Jupiter mass or greater, and some are unusual in than they orbit their stars in less than one Earth day! This has never been seen before and has lead astronomers to propose a new class of planet known as Ultra-Short-Period Planets (USPPs). The planets are not confirmed yet so you won't find them on the Extrasolar Planets Encyclopedia, further observations are needed to measure their mass. However, this discovery provides yet more evidence to consider in revising our views on how and where planetary systems form.